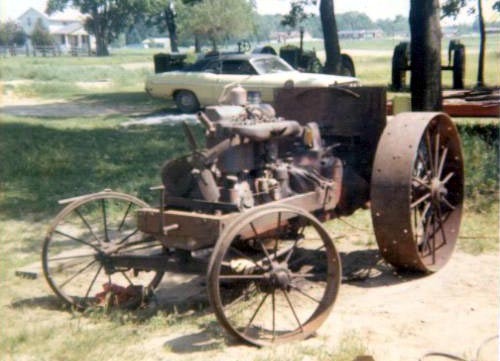 products, the Shelby Tractor , will be the topic of this article. 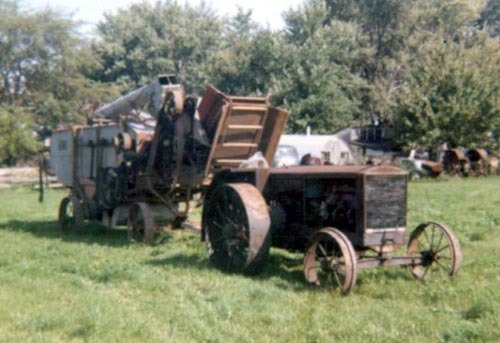 bottom plow, whereas the Model D could pull three plows. 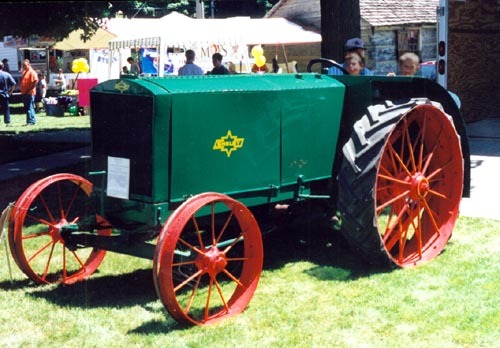 It is not known how many tractors were built during the 5 years (1918 - 1922) that the company was in existence, but it is thought that only one or two of the tractors survive to this day. 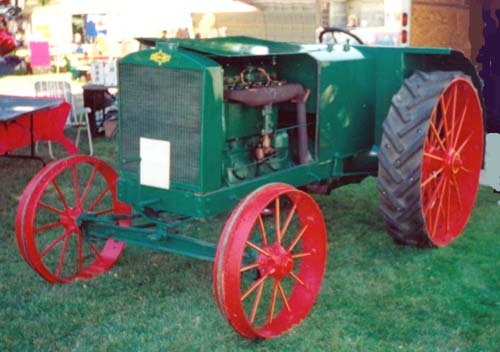 In 1920, a Model D 12 - 25 HP serial number 158 was built in the Shelby factory. 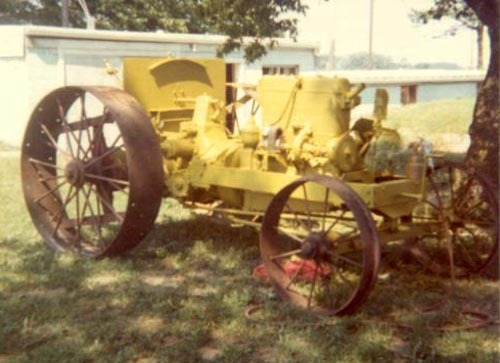 Over 50 years later it was found and purchased by Mr. Fred McCance of Lyons, Ohio. The Shelby as Fred & Mildred found it. 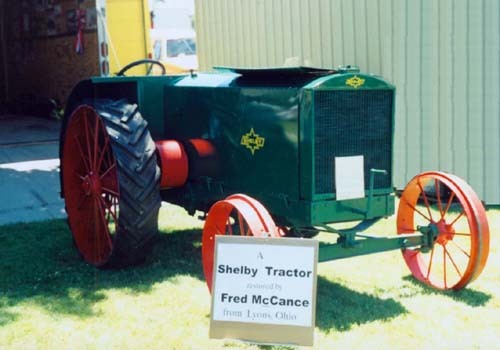 After locating the Shelby Tractor on the farm of Stanley Whitman who lived near Blissfield, Michigan, Fred begin the years long negotiation of buying the Shelby. Stanley Whitman years earlier had purchased the Shelby that Fred McCance eventually bought as well as a second Shelby that he had used for parts. 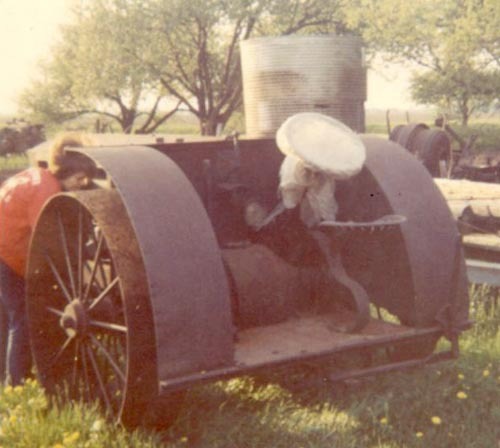 Stanley used the Shelby tractor to run a sawmill as well as a community grain separator. Fred made Stanley several offers to buy his Shelby and each time Stanley merely indicated that he "would think about it". In 1972, after many such attempts he was finally told that " the Shelby had been sold". Fred was soon to find out that it had been sold to his wife, Mildred, for Fred's birthday present; she had been nearly as interested in the purchase of the Shelby as he had. 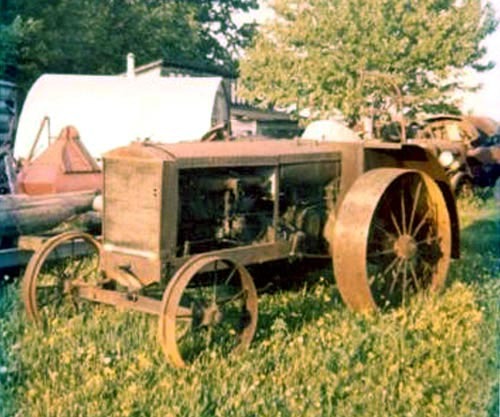 "My wife Mildred really looked the tractor over good. " 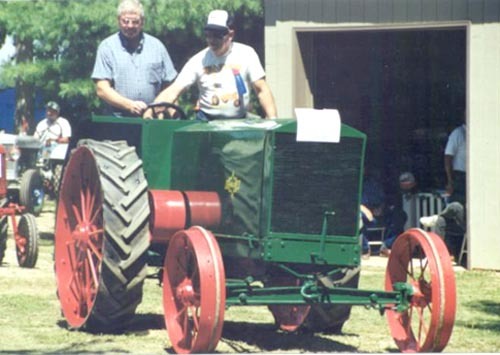 "She thought it would be a good tractor for the kids to ride on in a parade." 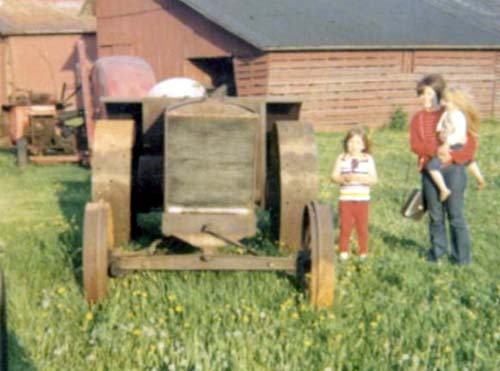 owners of two "new" additions to their now growing restoration hobby. 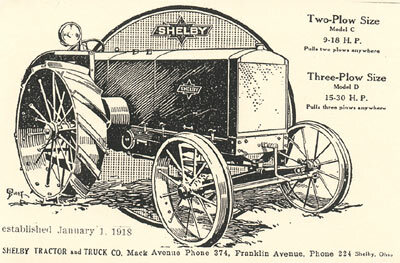 The Shelby with the 28 - 48 Red River Special grain separator attached. 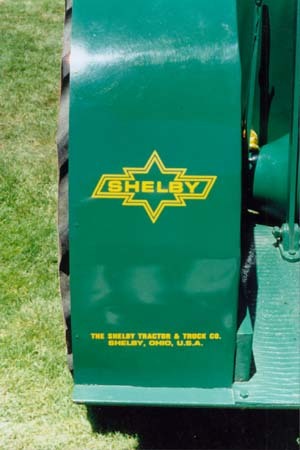 that Fred purchased the Shelby in 1972 until it was fully restored with the side curtains in place and painted with the Shelby logo found on the serial number plate (below). The Shelby stripped down - beginning it's restoration. the engine will start on the third crank." It did !! driving the only known operating Shelby Tractor in the world ! brought his Shelby to our Shelby's "Bicycle Days". 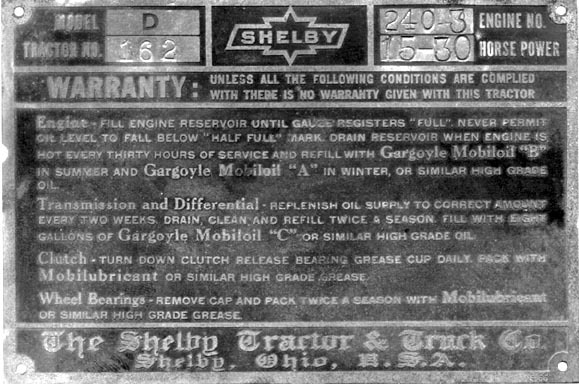 nameplate from that second Shelby Tractor (below). More details may follow. in Pennsylvania and brought to Shelby Bicycle Days in July, 2000. Thank you to Fred McCance and his wife Mildred for supplying pictures and information for this article. email (below) and we will forward your questions.